Cape Town - Proteas newbie Zubayr Hamza might not be a name that many South Africans are familiar with, but he has been highly rated for a long time. The 23-year-old was on Thursday called up to a 13-man squad for South Africa's three-Test series against Pakistan, starting at Centurion on Boxing Day. So, who exactly is Zubayr Hamza? Born and bred in Cape Town, Hamza matriculated from Rondebosch High School. He made his way playing out of Primrose Cricket Club, but soon caught the eye of provincial selectors. A technically astute played who grew up idolising Jacques Kallis, Hamza played for SA Schools before making his way into the Western Province U-19 set-up and then onto the provincial scene. 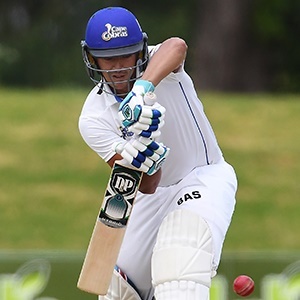 In 2016, he was nominated as the provincial Three Day Cup Player of the Year at the CSA Awards, but he has since broken into the Cape Cobras first side. He boasts a healthy first-class average of 48.95, with a highest score of 202* against Namibia back in 2014. In this year's 4-day franchise series, Hamza has scored 255 runs at an average of 31.87. In the 2017/18 season of the Sunfoil Series, however, Hamza finished as the fourth-highest run scorer in the competition with 828 at an average of 69.00. Hamza was selected in the SA 'A' side that toured India earlier in the year and he left that two-match unofficial Test series with good numbers, averaging 52.00 after three knocks. If selected for a Test against Pakistan, Hamza will become the 100th Protea to play Test cricket.